There is of course an element of both. “Dementia friendly communities” could be an example of corporates not behaving badly, to create a competitive advantage for themselves; or it could be quite nifty marketing. Corporates not behaving badly, officially known as “corporate social responsibility” is a form of corporate self-regulation integrated into a business model. CSR policy functions as a built-in, self-regulating mechanism whereby a business monitors and ensures its active compliance with the spirit of the law, ethical standards, and international norms. It’s in keeping with the idea of corporates like citizens just like the rest of us, like trade unions, for example, all co-existing “in the public good“. CSR is a process with the aim to embrace responsibility for the company’s actions and encourage a positive impact through its activities on the environment, consumers, employees, communities, stakeholders and all other members of the public sphere who may also be considered as stakeholders. Given the talk of “pandemic” and “time bomb”, it’s not a huge surprise corporates will wish to be in on the action. Some were out in force last week at the #G8summit. So that’s the answer to the question posed by Vivienne Parry in the session with NIKE and BT: “What are they doing here”? Companies the world over, whether they are involved in consumer sales, B2B, intermediaries, charities or NGOs, all recognise the importance of marketing. Marketing tends to be something which many people feel they can have a dabble at, but of course charities have highly skilled people doing it just like any other corporate. ‘Strategic marketing‘ has been defined by David Aaker as a process that can allow an organisation to concentrate its resources on the optimal opportunities with the goals of increasing sales and achieving a sustainable competitive advantage. Or surplus, if you’re in the third sector. 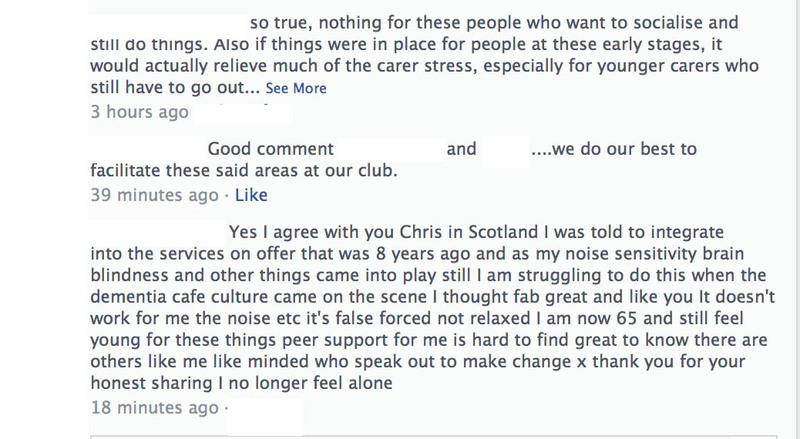 Talk to any smaller charity going out of action, like Dementia Advocacy Network, and you’ll see cut-throat it can be. The highly visible “dementia friendly communities” programme of the Alzheimer’s Society focuses on improving the inclusion and quality of life of people with dementia, as described here. The Alzheimer’s Society’s five year strategy includes a key ambition to work with people affected by dementia and key partners to define and develop dementia friendly communities. In these communities: people will be aware of and understand more about dementia; people with dementia and their carers will be encouraged to seek help and support; and people with dementia will feel included in their community, be more independent and have more choice and control over their lives. And it’s also great publicity for corporates which sign up. The Prime Minister’s challenge on dementia also includes an ambition to create communities that are working to help people live well with dementia, and which politician doesn’t seek to be re-elected? However, the concept is actually not at all new. The “York Dementia Without Walls project” from the Joseph Rowntree Foundation looked into what’s needed to make York a good place to live for people with dementia and their carers. It’s argued fundamentally that dementia-friendly communities can better support people in the early stages of their illness, maintaining confidence and boosting their ability to manage everyday life. Working with people with dementia, the research team investigated how local resources can be harnessed to this end, provided there is enough awareness. It was great work. They were not alone. The RSA also developed their “connected communities” project. Connected Communities is a research programme that explores ‘social network’ approaches to social and economic challenges and opportunities. They concentrated on understanding, mapping and mobilising ‘real world’ face to face networks of support and exchange between citizens, small informal groups, public sector and third sector agencies, and private sector businesses. This RSA group perceived the answer was to be found in “networks” because networks have dynamic qualities through which behaviour, emotional states, conditions, and influence spread and cluster, often in quite specific ways. The UK indeed is not alone. There’s been a growing number of cities and communities worldwide are striving to better meet the needs of their older residents. The WHO Global Network of Age-friendly Cities and Communities was established to foster the exchange of experience and mutual learning between cities and communities worldwide. Any city or community that is committed to creating inclusive and accessible urban environments to benefit their ageing populations is welcome to join. And these initiatives have had great success, which is to be applauded. In October 2013, it was announced that a landmark guide for banks and insurers to help improve the everyday lives of people affected by dementia was being launched by Lloyds Banking Group and Alzheimer’s Society. The ‘Dementia-friendly financial services charter‘ was designed to help financial services organisations recognise, understand and respond to the needs of customers living with dementia and their carers. Financial abuse can be a massive source of worry for carers of people living with dementia, so it was wonderful Lloyds Bank participated in this innovation. 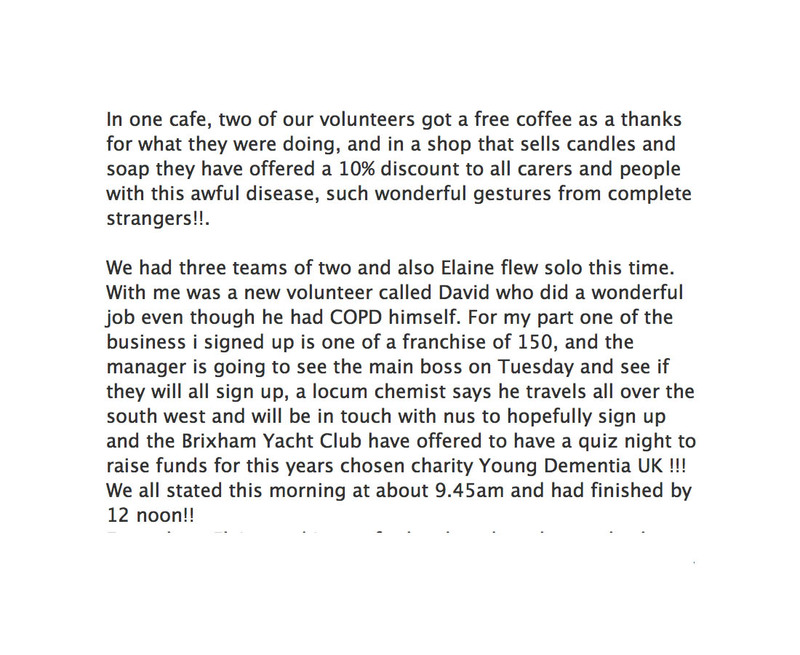 So why should corporates prefer to go with the Alzheimer’s Society? It is quite possible that this is due to the strength of the brand of that society. A parallel can be seen in property law. A landlord would obviously prefer to know that his tenant is solvent and reputable and consequently more likely to perform all leasehold covenants. Property professionals often refer to covenant strength and try to determine whether a proposed tenant is a “good covenant”. For investors the covenant strength of the tenant is an extremely important factor. If a landlord has tenants with good covenant strength, the property will be more attractive to potential buyers and its value will be likely to go up. The parallel is the power of the brand of a charity – its “pulling power”. Businesses and charities put a lot of time into their outward reputation, in the hope of attracting more inward business. Whilst Google hits are not per se a sign of popularity and goodwill, because for example a Google ranking might depend on the number and quality of pages which link to that webpage, the ranking of a phrase can be a good indication of the power of a brand. 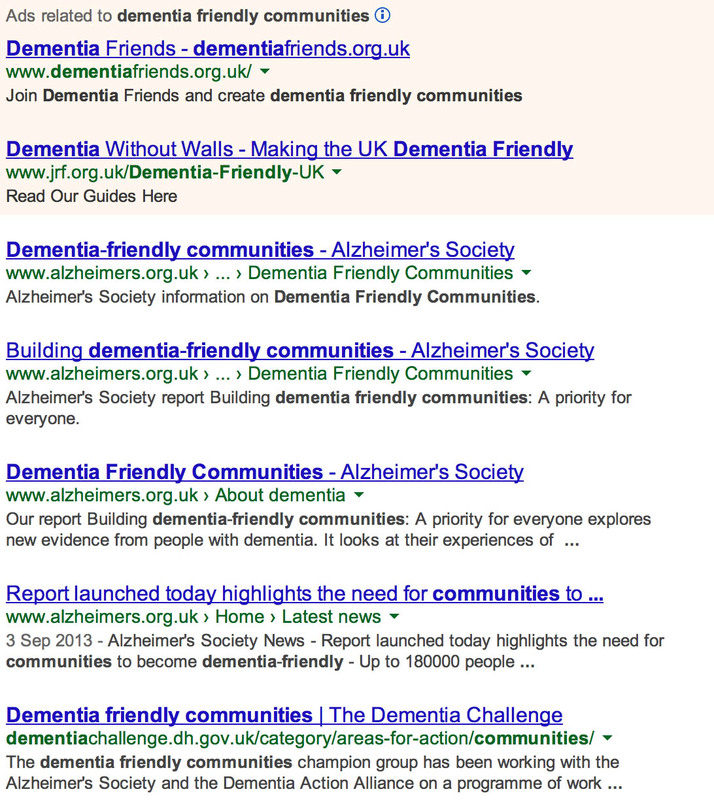 Here it is quite interesting that the Alzheimer’s Society puts up a good showing for a search of ‘dementia friendly communities’. A possible reason for the society’s success here is to find in the last entry of this extract: the powerful strategic alliance it has with the Department of Health, who will clearly want this project to succeed. Despite various third sector and corporate entities competing with each other, there has been remarkably little scientific peer-reviewed published evidence on “dementia friendly communities”. Here for example is the output from the ‘Medline’ database encompassing a huge collection of medical journals. This search only returned two pieces, where the abstract was not even available. Many, therefore, will have agreed with Sir Mark Walport, the Chief Scientific Officer, to query publicly at #G8dementia what the precise evidence base for the “dementia friendly community” is currently. ““Dementia-friendly” has become part of the language of strategic planning in the public and third sectors, since the launch of the Prime Minister’s Challenge on Dementia in England in 2012 included the creation of dementia-friendly communities as one of its three main objectives. However, its exact meaning is inconsistent. Piercy and Lane (2009) from the Warwick Business School really elegantly reviewed the relationship between corporate social responsibility and strategic marketing in their article, “Corporate social responsibility: impacts on strategic marketing and customer value” [The Marketing Review, 2009, Vol. 9, No. 4, pp. 335-360]. A particular banks, despite being in a relatively crowded market (and hence oligopolistic), particularly need to demonstrate why it’s better than the rest, and ethical consumerism has been particularly important for this in recent times, possibly in a way accelerated by the global financial crashes. This criticism clearly would not apply to dementia charities, where inclusion of disabled members of society would be invariably an aim of any reasonable dementia charity. But the point holds: that the ‘market’ is sensitive to a company’s ethical credentials these days. For example, a dementia charity which solely concentrated on genomic ‘big data’ might not have as much competitive advantage with the general public. And the ‘dementia friendly community’ is an effective way of returning value to members of the general public, in the absence currently of disease-modifying drugs or cures for Alzheimer’s disease and the other two hundred causes (at least) of a dementia. It is not of course accidental that Andrea Ponti from JP Morgan was there at #G8dementia. Corporates behaving well is big business. It would be easy to dismiss what they can bring to the table, that is somehow raise the profile of dementia. The tragedy of course would be if diversion of resources acted to the detriment of actual patient-centred care so desperately needed at the moment. There is a strong sense from the National Dementia Strategy (2009) of the need for individuals living well with dementia to be part of a wider network which creates higher shared value. The establishment and maintenance of such networks will provide direct local peer support for people with dementia and their carers. It will also enable people with dementia and their carers to take an active role in the development and prioritisation of local services There is, however, a growing realisation that many settings are not in fact “dementia friendly”. In the Department of Health’s “Improving care for people with dementia”, it is described that a quarter of hospital beds are occupied by people with dementia. To improve health and care services for people with dementia, by March 2013 the current English policy is committed asking every hospital in England to commit to becoming dementia-friendly. 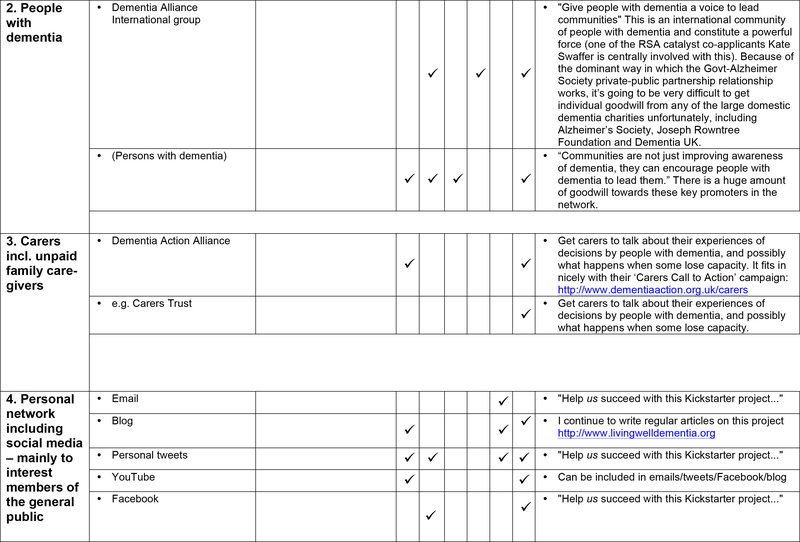 Indeed, the UK Government reported in “Improving care for people with dementia”, on the UK government website 25 March 2013 that ‘dementia friendly communities’ are a key priority. It is argued that it will take time for communities to become truly dementia friendly. Groups in over 20 areas, that have now committed to working towards becoming dementia friendly villages, towns and cities. As we develop a process and criteria for developing dementia friendly communities we expect this number to grow. For example, at the time of writing, thirty new members have signed up to the Dementia Action Alliance (DAA), taking the number of bodies and organisations to over hundred. Each organisation has produced an action plan on what they will do to become more dementia friendly. The DAA is a membership body committed to transforming the quality of life of people living with dementia in the UK and the millions of people who care for them. People with dementia and carers have described seven outcomes that must be met to ensure that they live well with the condition (Dementia Action Alliance). This work, alongside other research on quality of life for people affected by dementia, shows that many issues influence how well people live, from health and social care, to social relationships, engagement in activities, a sense of belonging and of being a valued part of family, community and civic life. Other work also highlights the importance of society and developing age-friendly environments. The WHO “age friendly communities” or “age friendly cities” initiative is also very significant. In 2008, for the first time in history, the majority of the world’s population lived in cities. Urban populations will continue to grow in the future. It is estimated that around 3 out of every five people will live in an urban area by 2030.At the same time, as cities around the world are growing, their residents are growing older. The proportion of the global population aged 60 will double from 11% in 2006 to 22% by 2050. According to WHO, making cities and communities age-friendly is one of the most effective local policy approaches for responding to demographic ageing. The physical and social environments are key determinants of whether people can remain healthy, independent and autonomous long into their old age. Older persons play a crucial role in their communities – they engage in paid or volunteering work, transmit experience and knowledge, and help their families with caring responsibilities. These contributions can only be ensured if they enjoy good health and if societies address their needs. The WHO Age-friendly Environments Programme is an international effort to address the environmental and social factors that contribute to active and healthy ageing. The Programme helps cities and communities become more supportive of older people by addressing their needs across eight dimensions: the built environment, transport, housing, social participation, respect and social inclusion, civic participation and employment, communication, and community support and health services. This World Health Organisation initiative appears to provide an international network of good practice in these areas and opportunities to connect the growing number of places interested in dementia-friendly communities to this work. For example, it is argued that domestically here in Manchester, long-term involvement of older people in planning the development of the city at urban and neighbourhood levels has improved the physical and environmental access for older people, raising their confidence and empowering them to become involved in decision-making. Social inclusion is becoming, of course, increasingly achievable through online social networks. Shirley Ayres (2013) argues in a ‘provocation paper’ for Nominet that social exclusion, loneliness, managing health and disabilities, and unemployment are big issues for society generally. The problems for older people can be exacerbated by ill health, significant life changes such as retirement and transitions – which may require moving to supported living – and the death of partners and close friends. Retaining a sense of worth and value, keeping connected to family and friends, and continuing to contribute to society are important considerations in addressing social inclusion. maintain their social networks so they feel they still belong in the community. Furthermore, a society or community that acts consciously to ensure that people with dementia (along with all its citizens) are respected, empowered, engaged and embraced into the whole is one that can claim to be, or is becoming, a dementia-friendly community. We have reflected that there are similar movements for communities currently to become generally more ‘age-friendly’, just as more recently they consciously became more ‘child-friendly’ and ‘wheelchair-friendly’. As mentioned in chapter 16, dementia comes within scope of the Equality Act , and this therefore is an important legal consideration now. an aim of this project and of the whole of Joseph Rowntree Foundation’s programme of work on dementia and society. Community development progresses this aim; civic engagement and increased social capital are its outputs. Mutual gain for everyone is the outcome. In Europe, Bruges is leading the way in an expanding movement of towns and cities that are championing the dementia-friendly approach, which include Nantes in France and Ansbach in Germany. Bruges’ knotted red handkerchief logo signifying “dementievriendelijkBrugge” (“dementia-friendly Bruges”) is being taken up by other organisations and countries and they welcome others using the logo too, to increase its chances of becoming a universally recognisable emblem. Where did the concept of “dementia friendly communities”come from? Growing awareness of the demographic changes in the population as the proportion of older people and the prevalence of dementia increase has prompted research and policy development in both age-friendly and dementia-friendly communities. In 2011, the Department of Health convened a ‘Think Tank’ of experts, including people with dementia and family carers, to explore the concept of “dementia-capable communities”. In preparation it commissioned Innovations in Dementia to work with people with dementia to find out what makes a good community for people with dementia to live in and what can be done to make this happen (“Dementia Capable Communities” from “Innovations in Dementia”). making local facilities more accessible for people with dementia. Why encourage ‘dementia friendly communities’? All statutory agencies should be familiar with the public health and demographic changes occurring over the next generation, including a doubling of the numbers of people with dementia over the next 30 years and a shrinking of the working population to support those in later life. By 2019, 38 percent of the population will be aged over 50, and by 2029 this will have risen to 40 percent (Audit Commission, 2008). driven significant cuts in public sector spending that have impacted on commissioners’ abilities to fund services adequately or to invest in future service provision. It has also unfortunately coincided with the formation of different health commissioning arrangements; the Clinical Commissioning Groups (CCGs) and the Health and Wellbeing Boards, both still in their transitional infancy, are too new to have had much impact yet. Arguably, the growing elderly population is a source of spending power that has been overlooked in the past in favour of younger people with apparently more cash to spend. the complexity of nuance and understanding which can be felt on both sides. Highest on the list of difficulties for people with dementia are the everyday community activities that everyone else takes for granted, such as withdrawing money at the bank, paying bills, shopping and using public transport. Trying to carry on daily life as before becomes more difficult and problematic for people. As a result they start to feel disconnected from their old groups, friends, activities and places. that others respond negatively. Many report, in addition, reveal a necessity to make new friends, commonly from the dementia community, as they begin to lose friends and connections in their old walks of life. Older people are fellow citizens who should be able to participate in local communities and benefit from universal services to the same extent as other age groups. Scrutinising local mainstream and universal services through an age-proofing lens benefits not only older people but also many other groups – younger people, families with children, wheelchair users and other disabled groups (Audit Commission, 2008). Older people should have a stake in how universal services such as transport, parks and gardens, refuse collection and leisure services are planned and organised. Finally, through better use of space and the increased use of technology, more older people are able to participate more fully in society. The Independent featured in its reporting the impact of ageing on city life in the future, signalling the growth of environmental gerontology. Why involve individuals with dementia in the design of ‘dementia friendly communities’? The Local Government Association and ‘Innovations in dementia’ have explained why it is so essential to listen to the views of those individuals with dementia. The idea of making our communities better places to live for people with dementia is something which engages the enthusiasm and interest of all sorts of people. Traders, leisure companies, transport providers, planners, service providers, health and social care organisations, charities are all potentially affected; all have a role to play in forming a vision about what a dementia-friendly community should look like. The most important stakeholders in this process of course are people with dementia, and those who care for and support them. “Nothing about us without us” is a slogan which carries great resonance for disability rights campaigners – and is one which is increasingly being articulated by people with dementia as well. The voices of people with dementia and their carers should be at the start and the heart of the process of creating dementia-friendly communities. What do individuals with dementia appear to want from ‘dementia friendly communities’? The Local Government Association and ‘Innovations in dementia’ have explained that it is important to listen to the expectations of individuals with dementia in formulating a policy on dementia-friendly communities. Their findings are shown below. through the use of support services. Crampton, Dean, and Eley (and the Joseph Rowntree Foundation) in a report on building a dementia-friendly community in York present an elegant ‘four cornerstone’ model. a mental health perspective. SEP structures individual and collective experiences of dominance, hierarchy, isolation, support and inclusion. Social position also influences constructs like identity and social status, which impact on wellbeing, for example, through the effects of low self esteem, shame, disrespect and ‘invidious comparison’ (Rogers and Pilgrim 2005; de Botton, 2004). Sen has previously argued that shame and humiliation are key social dimensions of absolute poverty and that the ‘ability to go about without shame’ is a basic capability or freedom (Sen, cited in Zavaleta 2007). the loss of self esteem that accompanies unemployment is (Martikainen et al., 2002). Individual psychological resources, for example, confidence, self-efficacy, optimism and connectedness appear embedded within social structures: our position in relation to others at work, at home, and in public spaces. Because social position influences emotion, cognition and behaviour, it is an ongoing challenge to separate out contextual effects (Singh-Manoux and Marmot 2005). Context was first introduced in chapter 9.
having someone to go with. A wide range of research demonstrates the health significance of social relationships and both formal and informal social systems as mediators of psychosocial stress resulting, for example, from inequality or economic transition. The relationship is not always clear cut (De Silva et al., 2005, 2007). 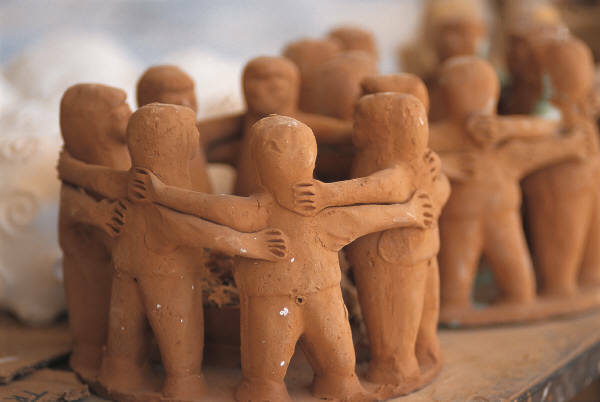 There are different forms of community cohesion with different effects, in low income countries, for example, or for particular groups where strongly bonded communities may exclude minorities. Nevertheless, communities with high levels of social capital, indicated by norms of trust, reciprocity, and participation, have advantages for the mental health of individuals, and these characteristics have also been seen as indicators of the mental health or wellbeing of a community (Morgan and Swann 2004; Lehtinen et al., 2005; McKenzie and Harpham 2006). The mental health of communities can be both a risk factor (e.g. the concept of social recession) and a protective factor (e.g. the application of herd immunity to mental health) (Stewart-Brown 2003). Hopelessness and a difficulty in imagining solutions, which are also risk factors for suicidal behaviour, are influenced by both neighbourhood culture and the physical environment. For individuals, social participation and social support in particular, are associated with reduced risk of common mental health problems and better self reported health. Social isolation is an important risk factor for both deteriorating mental health and suicide (Pevalin, and Rose 2003; Social Exclusion Unit 2004). The key question is, perhaps, the extent to which social capital mediates the effects of material deprivation. Many studies have found that social support and social participation do not mediate these effects (Mohan et al. 2004; Morgan and Swann 2004). A recent ecological study of 23 high and low income countries found no significant association between trust and adult mortality, life expectancy and infant mortality. Rather the results supported the importance of both absolute and relative income distribution (Lindstrom and Lindstrom 2006). and Feldman 2001). Mistrust and powerlessness amplify the effect of neighbourhood disorder, making where you live as important for health and wellbeing as personal circumstances (Krueger et al., 2004). Socially disorganised areas provide a dangerous mix: large numbers of potential offenders who have few opportunities other than crime, many potential victims, and few social organisations or individuals who are capable of protecting others from violence (Krueger et al., 2004). Area level effects may be particularly significant for some causes of mortality: in Scotland, for example, increases in inequalities in mortality are driven by increases in death rates at a young age in areas of high deprivation, for example for liver disease, suicide and assault and mental and behavioural disorders due to drugs (Leyland, 2007). It may be that negative symptoms of low morale and psycho-social vulnerability in communities, including anxiety, paranoia, aggression, hostility, withdrawal and retreat, have a greater power than protective factors, or, as we saw in relation to resilient places, that material resources outweigh other factors. Agyemang, C., van Hooijdonk, C., Wendel-Vos, W., Lindeman, E., Stronks, K., and Droomers, M. (2007) The association of neightbourhood psychosocial stressors and self-rated health in Amsterdam, the Netherlands, Journal of Epidemiology and Community Health, 61, pp. 1042-1049. Audit Commission (2008) Don’t stop me now: Preparing for an ageing population. Available at: http://www.cpa.org.uk/cpa/Dont_Stop_Me_Now.pdf. Ayres, S. (2013) Click guide to digital technology in adult social care. [epub] Available at: http://www.lulu.com/shop/shirley-ayres/click-guide-to-digital-technology-in-adult-social-care/ebook/product-20730904.html;jsessionid=F772B09C305EF528BE72FFA61ED53371. Crampton, J., Dean, J., and Eley, R. (on behalf of the ‘Joseph Rowntree Foundation) Creating a dementia-friendly York. October, 2012. Available at: http://www.jrf.org.uk/sites/files/jrf/dementia-communities-york-full.pdf. De Botton, A (2004) Status Anxiety. London, Hamilton. De Silva, M.J, McKenzie, K., Harpham, T, Huttly SR. (2005) Social capital and mental illness: a systematic review, Journal of Epidemiology and Community Health, 59, pp. 619-627. De Silva, M.J., Huttly, S.R., Harpham, T., and Kenward, M.G. (2007) Social capital and mental health: a comparative analysis of four low income countries, Social Science and Medicine, 64, 1, pp.5-20. Department of Health (2009) Living well with dementia: A National Dementia Strategy: Putting people first. London: Her Majesty’s Stationery Office. Available at: https://www.gov.uk/government/uploads/system/uploads/attachment_data/file/168221/dh_094052.pdf. Department of Health (2013) Improving care for people with dementia. Accessible at: https://www.gov.uk/government/policies/improving-care-for-people-with-dementia. Friedli, L [on behalf of the World Health Organization: Europe]; National Institute for Mental Health in England, Child Poverty Action Group, Faculty of Public Health and Mental Health Foundation. (2009) Mental health, resilience and inequalities. Available at: http://www.euro.who.int/__data/assets/pdf_file/0012/100821/E92227.pdf. Graham, H. (2004) Social determinants and their unequal distribution: clarifying policy understandings, Millbank Quarterly, 82, 1, pp. 101-24. Hampshire County Council, Innovations in Dementia, Local Government Association. Making Hampshire a dementia-friendly county. Finding out what a dementia friendly community means to people with dementia and carers. April 2012. Acccessible at: http://www.innovationsindementia.org.uk/DementiaFriendlyCommunities/DementiaFriendlyCommunities_engagement.pdf. an ecosocial perspective, International Journal of Epidemiology, 30, pp. 668-677. Journal of Epidemiology and Community Health, 55, pp. 693-700. Krueger, P.M., Bond Huie, S.A., Rogers, R.G., and Hummer, R.A. (2004) Neighbourhoods and homicide mortality: an analysis of race/ethnic differences, Journal of Epidemiology and Community Health, 58, pp. 223-230. Lehtinen V, Sohlman B, and Kovess-Masfety V (2005) Level of positive mental health in the European Union: Results from the Eurobarometer 2002 survey, Clinical Practice and Epidemiology in Mental Health, 1:9. Lindstrom, C. and Lindstrom, M. (2006) Social capital, GNP per capita, relative income and health: an ecological study of 23 countries, International Journal of Health Services, 36, 4, pp. 679-696. Local Government Association/Innovations in Dementia. Developing dementia-friendly communities. Learning and guidance for local authorities. May 2012. Available at: http://www.local.gov.uk/c/document_library/get_file?uuid=0a7a291b-d6a3-4df6-9352-e2f3232db943&groupId=10171. Martikainen, P., Bartley, M., and Lahelma, E. (2002) Psychosocial determinants of health in social epidemiology, International Journal of Epidemiology, 31(6), pp. 1091-3. McKenzie, K. and Harpham, T. (2006) Social capital and mental health, London: Jessica Kingsley. 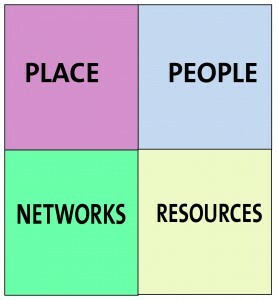 Mohan, J., Barnard, S., Jones, K. and Twigg, E. (2004) Social capital, geography and health: developing and applying small-area indicators of social capital in the geography of health inequalities. In, Morgan, Antony and Swann, Catherine (eds.) Social capital for health: issues of definition, measurement and links to health. London, Health Development Agency, pp. 83-109. Accessible at: http://www.nice.org.uk/niceMedia/documents/socialcapital_issues.pdf. Morgan A. and Swann C (eds) (2004) Social Capital for Health: Issues of Definition, Measurement and Links to Health. London, Health Development Agency. Pevalin DJ and Rose D (2003) Social capital for health: Investigating the links between social capital and health using the British Household Panel Survey. Wivenhoe: Institute for Social and Economic Research University of Essex. 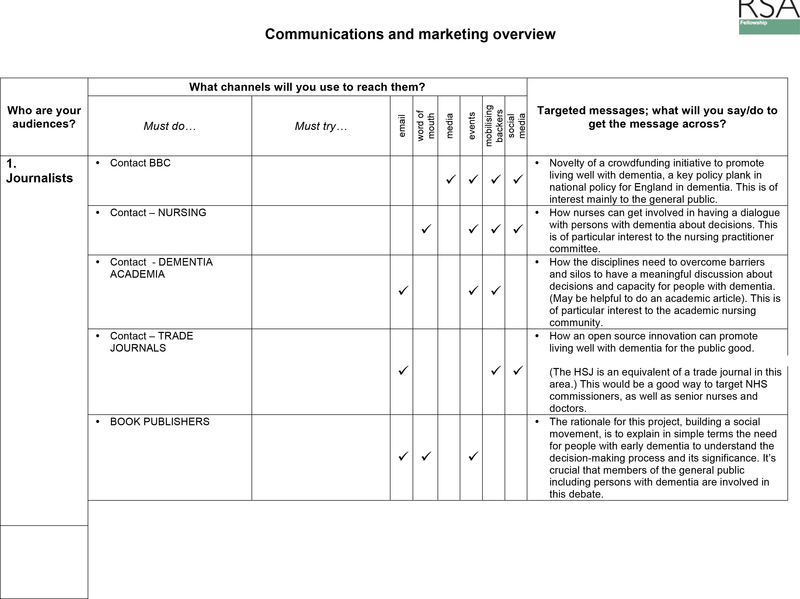 Accessible at: http://www.nice.org.uk/nicemedia/documents/socialcapital_BHP_survey.pdf. Regidor, E. (2006) Social determinants of health: a veil that hides socioeconomic position and its relation with health, Journal of Epidemiology and Health, 60, pp. 896-901. Rogers, A. and Pilgrim, D. (2003) Inequalities and mental health. London: Palgrave Macmillan. Singh-Manoux, A. and Marmot, M. (2005) Role of socialization in explaining social inequalities in health, Social Science and Medicine, 60, pp. 2129-2133. Social Exclusion Unit (2004) Mental Health and Social Exclusion: Social Exclusion Unit Report. London: Office of the Deputy Prime Minister. Available at: http://www.nmhdu.org.uk/silo/files/social-exclusion-unit-odpm-2004-social-exclusion-and-mental-health.pdf. Spinney, L. (2013) Streets ahead: A revolution in urban planning. The Independent newspaper. Available at: http://www.independent.co.uk/news/science/streets-ahead-a-revolution-in-urban-planning-2024234.html. Steptoe, A., and Feldman P.J. (2001) Neighborhood problems as sources of chronic stress: development of a measure of neighborhood problems, and associations with socioeconomic status and health, Ann Behav Med, 23(3), pp. 177-85. Stewart-Brown, S. (1998) Public health implications of childhood behaviour problems and parenting programmes. In: Buchanan A, Hudson BL (ed.) Parenting, Schooling & Children’s Behaviour: Interdisciplinary approaches. Aldershot, Ashgate Publishing.